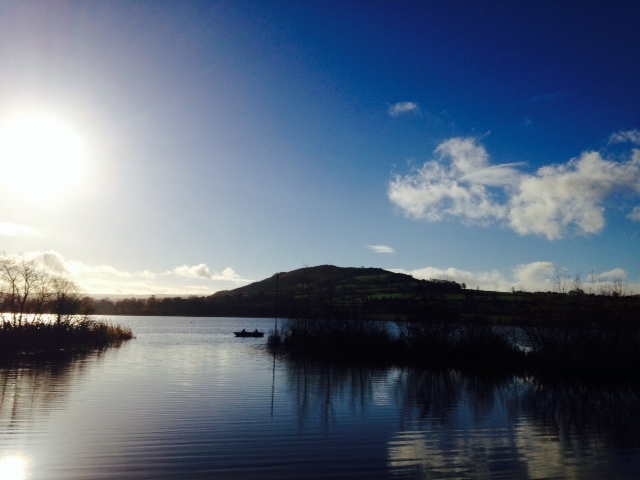 The swim takes place in the beautiful Llangorse Lake, the largest natural lake in south Wales. Swimming is normally forbidden in the lake so thanks to the Blackham family, Llangorse Sailing Club and the Llangorse Users Group, competitors will get the only chance in the year to enjoy the beautiful water. You can change your distance on the day of the swim if you feel you’d like to swim further or not quite so far. 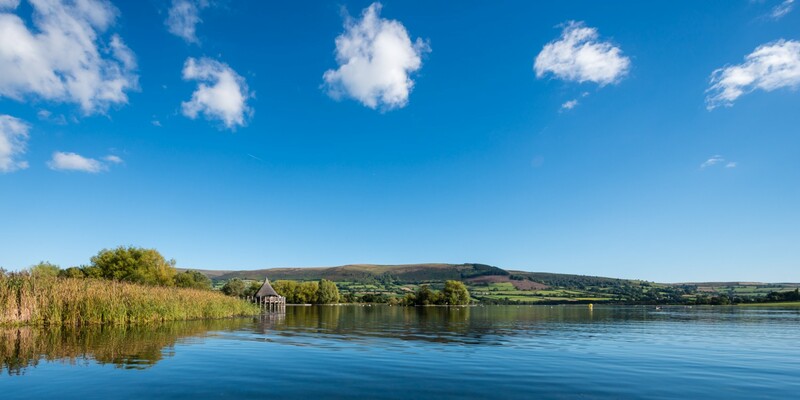 The course will take the swimmers from Llangorse Sailing Club, across to the far bank with views of St Gastyn’s church and back towards The Crannog – the only such ancient lake dwelling in England and Wales. The race will be chip timed. You will be supported by canoes and boats on the water and we also have a floating aid station where you can take on food and drink. There will be professional first aid cover on the water and on the shore. We would strongly advise that swimmers wear a wetsuit unless you have extensive experience of swimming outdoors. Registration will take place at Llangorse Sailing Club. There are changing rooms and showers plus ample toilets and refreshments. Spectators are welcome to watch the race from either the clubhouse or The Crannog. The lakeside and village contains loads of great accommodation options plus excellent places to eat, drink and relax and play areas for children so it’s an ideal place to base yourself for a family weekend. Are there any medals for completing the lake swim? Many thanks, if there’s a medal involved then I’m in! Hi, I was just wondering how competitive/ fast the swim is? I’m a confident open water swimmer and have done the distance a few times but I’m not particularly fast. Hello – My daughter is hoping to enter, she will be 16. Is there a lower age limit? Hi Claire. We take solo swimmers from 16 so she’s fine to enter. Younger swimmers can enter if they’re accompanied by an adult. Hi David. Yes, you will pass the aid station at the end of each lap. There will be water, cola, jelly babies and gels provided or you can leave your own drink or food there. Hi is this race wet suit compulsory. Is it possible to do the 6km without a wet suit? what’s the likely water temperature for the swim? Could you clarify the price for entry please? The website says £30 early bird and £35 if later, but when I complete the form and go to pay, it’s charging £42?? Not sure why?! Hello, interested in taking part but wanted to ask whether there is a schedule of what time each distance may swim. We will be doing the great east swim this weekend, would like to do a longer distance , however concerned that if training doesn’t go to plan whether we may be able to change the distance. Also what are weather conditions normally like, from the photos there doesn’t seem to be too much of a swell. Last question is there any opertunity to visit say the day before to visualise the course? I’d like to enter the Llangorse Swim for 6kms on 15 Sep 2018. However, I swim BACKSTROKE. Do you allow? Don’t worry, I’m a very experienced open water swimmer! Hi Martin. I’m afraid that we don’t allow backstroke as it affects our water safety. Swimmers are asked to roll on to their back and signal to the water safety marshals should they need assistance. We hope you’ll join us and still enjoy the swim. The benefits of doing breast stroke or front crawl means you will also get to see the amazing views. All the best, the Llangorse Big Swim team. Hi, I’ve just entered the swim – is there parking available at the lake and is there a charge for parking?